Have you ever been frustrated by the fact that you can take a difficult passage, work on it for a bit, get it sounding pretty good, but return to the practice room the next day to discover that you’re back at square 1? That nothing has really changed? And despite how good it sounded yesterday, now it sounds just as bad as it did before you worked on it? Most of us can live with “two steps forward, one step back.” It’s the “two steps forward, two steps back” that makes us want to tear our hair out. Are we just supposed to keep at it and learn how to be more patient? Or is there a different way to practice that can make these improvements more permanent? 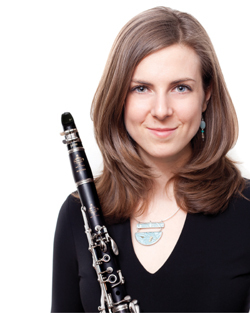 Dr. Christine Carter is a clarinetist who teaches at the Manhattan School of Music, and did her dissertation on the contextual interference effect – a phenomenon that can help you make your daily progress in the practice room actually stick. In this post, she shares a few suggestions on how we can make the most of our practice time. When it comes to practicing, we often think in terms of time: How many hours are necessary to achieve optimal progress? While this is a valid concern, a more important question is how we can make each hour count. What is the most efficient way to work so that what is practiced today actually sticks tomorrow? 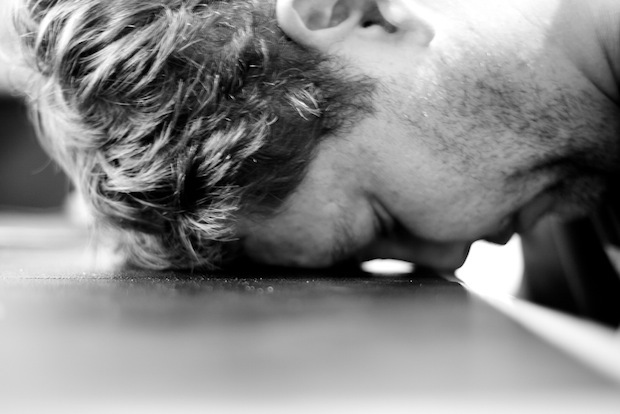 There is nothing more frustrating than spending a day hard at work only to return the next day at the starting line. Unfortunately, our current practice model is setting us up for this daily disappointment. Early on in our musical training, we are taught the importance of repetition. How often have we been told to “play each passage ten times perfectly before moving on”? The challenge with this well-intentioned advice is that it is not in line with the way our brains work. We are hardwired to pay attention to change, not repetition. This hardwiring can already be observed in preverbal infants. Show a baby the same object over and over again and they will gradually stop paying attention through a process called habituation. Change the object, and the attention returns full force. The same goes for adults. Functional magnetic resonance imaging has demonstrated that there is progressively less brain activation when stimuli are repeated. The fact is, repeated information does not receive the same amount of processing as new information. And on some level, we all know this. Constant repetition is boring and our boredom is telling us that our brains are not engaged. But instead of listening to this instinctive voice of reason, we blame ourselves for our lack of attention and yell at ourselves to “focus!” Luckily, there is an alternative. In the field of sport psychology, the continuous repetition discussed above is called blocked practice. In a blocked practice schedule, all repetitions of one activity are completed before moving on to a second activity. For example, a baseball player who must hit fifteen fastballs, fifteen curve balls, and fifteen change-up pitches in practice would complete all of the fastballs before moving on to the curve balls and so on. This most resembles the way the majority of musicians practice, especially when it comes to challenging passages. We work on one excerpt for a given amount of time and then move on to the next excerpt until all tasks for the day are complete. A blocked approach seems logical. Muscle memory requires repetition and why wouldn’t we do all of the repetitions in a row? After all, if we are working on a difficult passage, it feels a lot more comfortable 10 minutes into practice than at the beginning. It is precisely this feeling of comfort and improvement that reinforces our reliance on blocked practice. The problem with this kind of practicing, however, is that the positive results we feel in the practice room today do not lead to the best long-term learning tomorrow. Practicing in a way that optimizes performance in the practice room does not optimize learning. What if we took the blocks of practice on particular tasks and broke them down into smaller segments on each task? In the baseball example above, the players could hit the three different types of pitches in an alternating fashion, instead of doing all of one kind in a row. Two breakdown options are a repeating order (e.g., abc abc abc…) or an arbitrary order (e.g., acb cba bca…). In either, the net result will still be 15 practice hits of each of the three types of serve, exactly the same as the net result in the blocked practice schedule. The only variable that changes is the order in which the pitches are practiced. This type of interspersed schedule is called a random practice schedule (also known as an interleaved practice schedule). In a random practice schedule, the performer must keep restarting different tasks. Because beginnings are always the hardest part, it will not feel as comfortable as practicing the same thing over and over again. But this challenge lies at the heart of why random practice schedules are more effective. When we come back to a task after an intervening task, our brain must reconstruct the action plan for what we are about to do. And it is at this moment of reconstruction that our brains are the most active. More mental activity leads to greater long-term learning. In the blocked schedule above, the baseball players must only construct the action plan for each type of pitch once, at the beginning of each block. In the random schedule, they must construct and later reconstruct an action plan fifteen times for each pitch. Although a blocked schedule may produce superior performance during practice, study after study has shown that a random practice schedule consistently produces superior retention following practice a day or more later (i.e., the amount actually learned). This phenomenon is called the contextual interference effect. How much better is a random practice schedule? It turns out that the hypothetical baseball example used above is not hypothetical. In a 1994 study by Hall, Domingues, and Cavazos, elite baseball players were assigned to either the blocked or random practice schedules discussed above. After twelve practice sessions, the baseball players in the random practice schedule hit 57% more of the pitches than when they started. The blocked group only hit 25% more of the pitches, meaning that the random practice schedule was almost twice as effective, even though the two groups hit the same number of practice pitches. Similar results have been found across a wide variety of fields. Most pertinent to our interests as musicians, my preliminary research at the Brain and Mind Institute in Canada provides empirical support for the use of a random practice schedule in music. Not only does this research suggest that a random practice schedule is more effective than a blocked schedule for practicing musical passages, participant interviews also reveal that random practice has positive effects on factors such as goal setting and focus. The permutations are endless and the exact division of time is not important. What is crucial is that you are keeping your brain engaged by varying the material. More engagement means you will be less bored, more goal-oriented (you have to be if you only have 3 minutes to accomplish something), and substantially more productive. Most importantly, when you return to the practice room the next day, you can start from where you left off. This type of practice sticks. Dr. Christine Carter is interested in how musicians can be more effective on stage and in the practice room. She has conducted research at a number of brain imaging and music psychology labs and is currently a visiting scholar at Western University’s Brain and Mind Institute. Christine is also an active clarinetist. Performances have taken her around the globe, including venues as diverse as Carnegie Hall, the ancient cloisters in Avignon France, the Sydney Opera House, the Heritage Theatre in rural Newfoundland, and a Baroque Palace in the South of Germany. She completed her Doctor of Musical Arts at Manhattan School of Music, where she now teaches the Woodwind Lab. This entry was posted in Education and tagged Manhattan School of Music. Bookmark the permalink. I like what I have read here, I am going to have to try it! If someone else tries it let me know how it works!